To celebrate the 25th anniversary of the publication of D.W. Winnicott's "Playing and Reality", a number of organizations - including the University of Milan, the European Federation for Psychoanalysis, the Italian Association of Psychoanalysis, the Peruvian Psychoanalytic Society, together with the Squiggle Foundation and Winnicott Trust - organized a major international conference on Winnicott's work, entitled "The Psyche-Soma: from Paediatrics to Psychoanalysis". Derived from that conference, "Squiggles and Spaces" looks to update and elaborate Winnicott's theoretical insights and clinical findings. 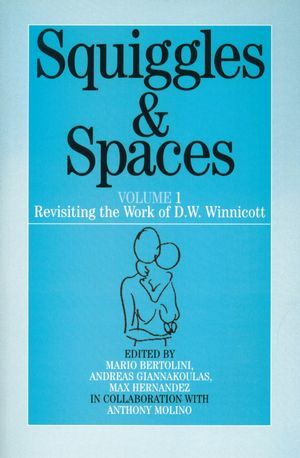 Mario Bertolini is the editor of Squiggles and Spaces: Revisiting the Work of D. W. Winnicott, Volume 1, published by Wiley. Andreas Giannakoulas is the editor of Squiggles and Spaces: Revisiting the Work of D. W. Winnicott, Volume 1, published by Wiley. Part 1 - Winnicott, The Man and The Clinician. 1 Nothing so Practical as Good Theory. 2 Breakdown, Madness and Health. Part 2 - Bookends, two Works by D. W. Winnicott On Playing and reality. 4 The Intuition of The Negative in Playing and Reality. 5 Reflections on playing and Reality. 6 Transitional Phenomena, Potential Space and Creativity On psychoanalytic Explorations. 7 Explorations, Losing and Finding Oneself in The potential Space. 8 Through Winnicott to Winnicott. Part 3 - Theoretical and Clinical Concepts From One to Two and Back. Illusion and aloneness in D. W. W.
10 The Capacity to be Alone. 11 Between The Capacity and the Necessity of Being Alone. 12 Exploring The Pathways of Illusion On The construction of Mental Space. 13 Art in Prehistory, a Potential Space for Play. 14 On The Construction of Potential Space. 15 Reflections on Max Hernandez and andreas Giannakoulas' 'On The Construction of Potential Space' Psyche, Soma, gender. 16 The Psyche+soma Matrix, Through Paediatrics to Psychoanalysis. 17 The matrix of The Psyche-soma. 18 'had I Only Been bom a Woman...' The Feminine element in men The Fetish and The Transitional Object . 9 Reflection on Central masturbation Fantasy, The Fetish and Transitional Objects. 21 Central Masturbatory Fantasy, Fetish and The transitional Phenomenon. Appendix 2: Congress Introductory Remarks.